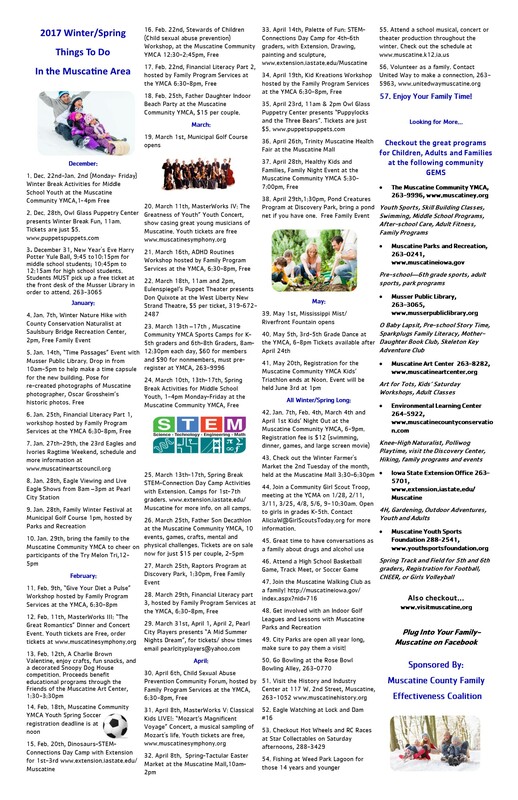 Here is a list of great family and youth events in the community! Take time to be with your family. With the Winter Things To Do Flyer, you don’t need to take time to find family activities, its all here in one place!